If you think that there is no way for you to cut the costs on your big wedding dessert, you are wrong, since there are many of budget wedding cakes types available out there to choose from. If you read this article it means that you plan to organize your wedding within a limited budget, meaning also that the number of your guests is somehow limited. As you can imagine, with a limited number of guests, say 40 or 50, the costs will be automatically reduced on everything that you plan purchasing within the preparation of your wedding day. 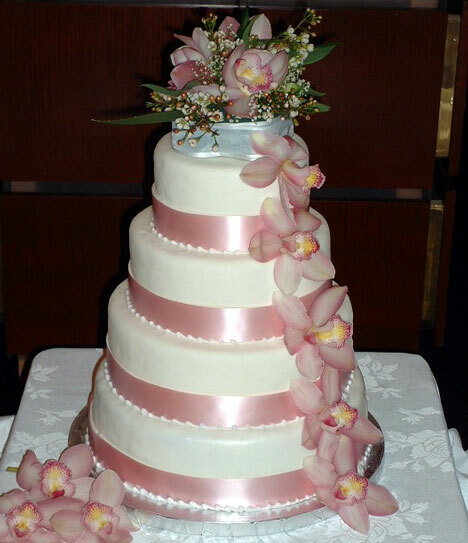 First type would go for buying a two or three tiered wedding cake which is done in the simplest manner: the tiers, the filling in between and the icing. This is all that you need to order for when consulting with the local baker. 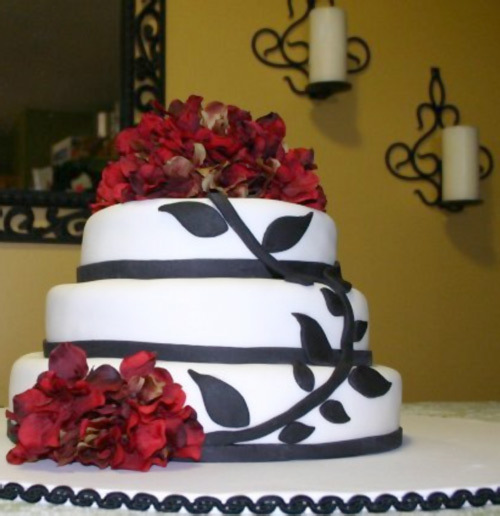 Once you have ordered for it, after tasting as well the flavor used for the filling and icing (in this case it is better to go with the basic and less exotic one), you should go home and find ways to DIY decorate your budget wedding cake. You will have to look online for various instructions on making edible cake toppers and decorative patterns, such as flowers, stars, or any other detail that seems to coordinate the best with the rest of your wedding colors or theme. The second type would be the cupcake budget wedding cake. This is the simplest and also a very interesting way of presenting your wedding cake to your guests. This idea comes with tens of ideas of having the cupcakes decorated, not to mention the flavors that you can use with them. One great version of this cupcake wedding cake is to bake several flavors and decorate the cupcake in the color of the flavor, in this way you would know which is which by merely seeing the color of the decorative style adorning the cupcake.